Data sent back from NASA's OSIRIS-REx mission has revealed that the asteroid Bennu has water mixed with clay minerals. According to the space agency, the spacecraft made the discovery during the mission's approach phase between mid-August and early December. The spacecraft was about 1.4 million miles away from Earth at the time and was only 12 miles away from the asteroid Bennu. The data was obtained using the spacecraft's OVIRS (Osiris Visible and Infrared Spectrometer) and OTES (Osiris Thermal Emission Spectrometer) help them find molecules containing oxygen and hydrogen atoms bonded together, also known as hydroxyls. 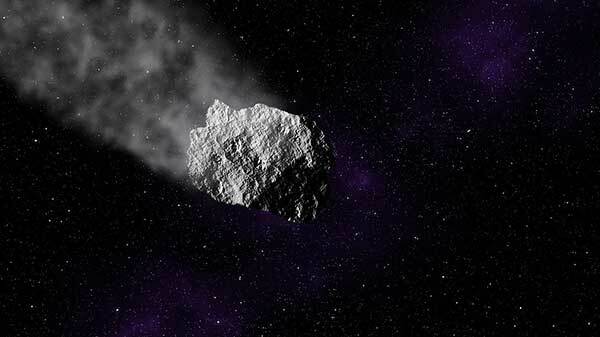 NASA suspects that these hydroxyl groups exist throughout Bennu in the form of water-containing clay minerals, meaning at some point, the asteroid interacted with water. Though the space agency thinks that Bennu is too small to have hosted water itself, it's seen as the water is present on the parent asteroid. "The presence of hydrated minerals across the asteroid confirms that Bennu, a remnant from early in the formation of the solar system, is an excellent specimen for the OSIRIS-REx mission to study the composition of primitive volatiles and organics," said Amy Simon, OVIRS deputy instrument scientist. "When samples of this material are returned by the mission to Earth in 2023, scientists will receive a treasure trove of new information about the history and evolution of our solar system."